Mention the words 'Stock Cars' to anyone and this is the image that is usually conjured up in their minds. 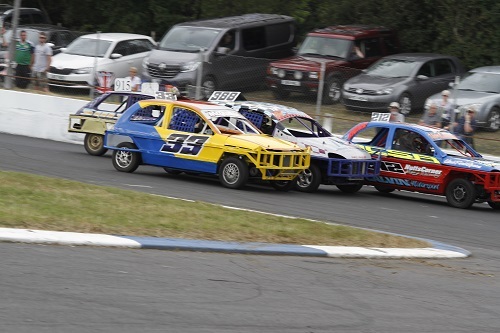 These are battle scarred chariots carrying heavy offensive and defensive armouring, where full contact racing is most definitely the name of the game. To look at these cars you may think that no attention is put into them, well this isn't the case as these machines have as much care and attention lavished on them as any other formula. 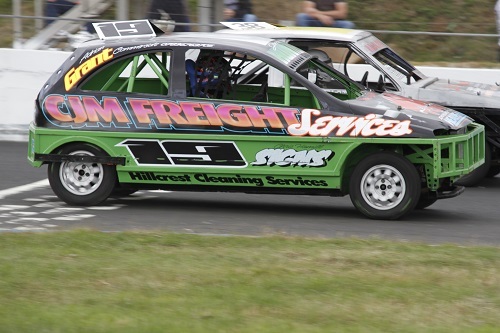 These cars are economical to build and run for these drivers, and they are powered by 1300 or 1400cc engines. Although not the largest power unit, the drivers are able to propel these cars close to those speeds seen by their Hot Rod brethren. 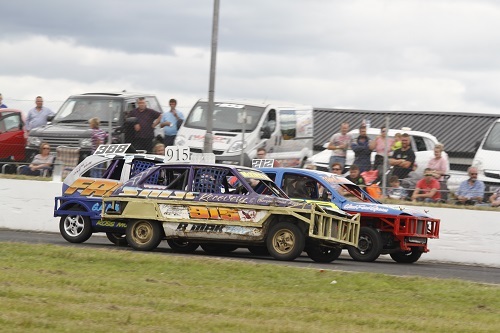 The Stock Cars have seen fields increase across the UK, making for some exciting racing on track. 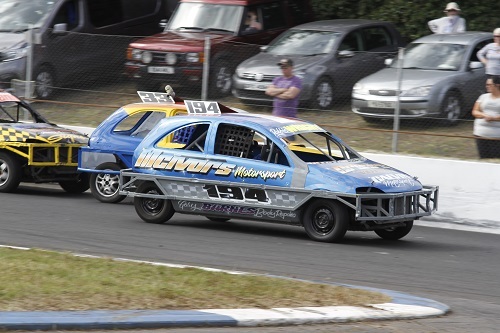 You will rarely see a dull race from these drivers! For 2019 we will stage the National Championship for the formula at DMC Race Promotions, and we hope to see the grids continue to build to produce even more spectacular racing!